I'm still toying with idea of getting a binder together just for my favourite autographs in terms of penmanship or unique signatures. That way, I can keep my Doron Lambs, Jose Bautistas, Terry O'Reillys, Gio Gonzalezes and their ilk safe from the guys who just add their initials, or turn it into a mess of undecipherable hieroglyphics. Yup. I'm still looking in your direction, with that hieroglyphics comment Jonas. 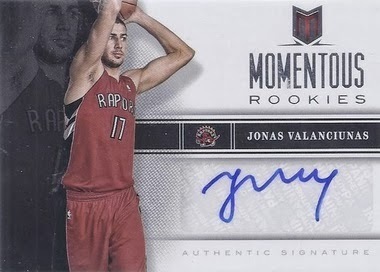 But the purpose is not to bury the Lithuanian Raptor, my purpose is to compliment the two newest guys in my non-official penmanship team. 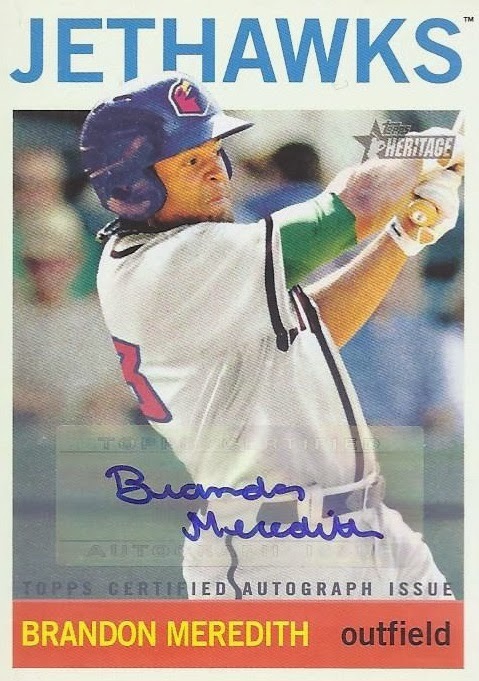 Brandon Meredith is a prospect in the Astros system. Brandon has a lengthy name, but you can still make out every letter in his signature. As someone whose handwriting is somewhat smaller than average, it is really nice to see some else with a rather compact signature. My only complaint is that the slight slant to the left had me thinking Brandon was a southpaw, but the card back reads he throws and hits from the right side of the plate. And here's the second one. 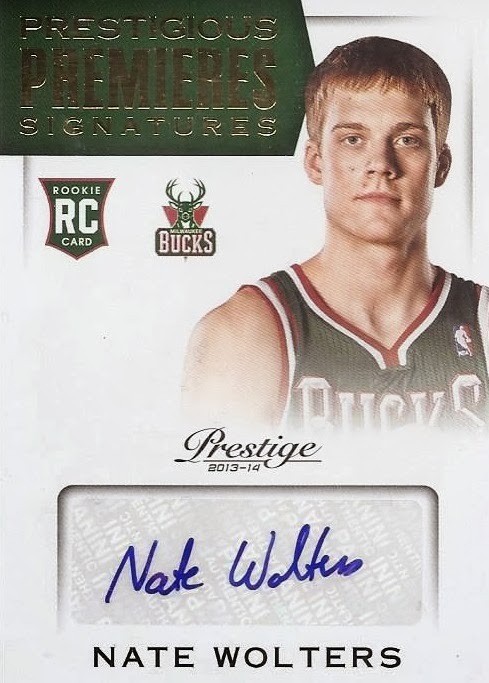 After Doron Lamb last year turned up with some gorgeous cursive in his auto, I'm starting to think that 2nd round picks that end up playing for Milwaukee (Nate was picked by Washington, then moved to Philly, and finally the Bucks on draft day). It's another nice one with each letter being legible. What more can you ask for? I'm still not 100 percent sure about the penmanship binders, but if it goes ahead, these two will be certain entries. Affordable Group Break Goodies Plus More!